Shelly Trent serves as the HR and Training Coordinator for Next Step where she is responsible for human resources functions and the training and education of our partners and clients. Shelly’s background includes human resources, college career services, corporate employee career development, and business and industry training. Before joining Next Step, Shelly worked in a nonprofit membership association and before that worked in employee development for Kentucky Housing Corporation, the state’s housing finance agency. She has experience in college career services and continues to teach career courses for a local university on a part-time basis. 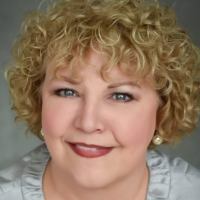 Shelly is certified as a Senior Professional in Human Resources (SPHR) by the HR Certification Institute, as a SHRM-Senior Certified Professional (SHRM-SCP), and as a Certified Association Executive (CAE) by the American Society of Association Executives. She holds a B.A. in government and writing and a master’s degree in public administration from Western Kentucky University and completed her Ph.D. coursework (all but dissertation) at the University of Louisville in human resources development.